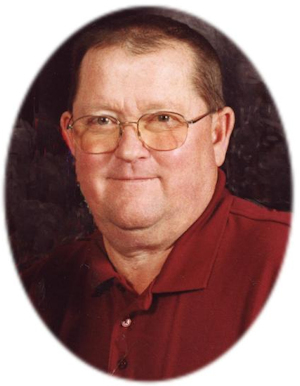 Obituary – Heppler, Nicholas William “Butch” « Perry High School Alumni Association, Inc.
Nicholas William Butch Heppler, 66, of Perry, Oklahoma, was the son of Nicholas William and Susan Pantenburg Heppler. He was born September 13, 1943 in Perry, Oklahoma and died Monday, June 14, 2010 at his home. 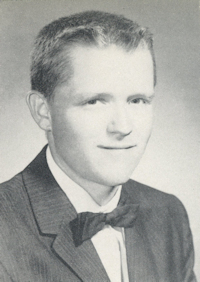 Butch was a 1961 graduate of Perry High School. On June 1, 1962, Butch married Sharon LaVerne Biggs in Perry, Oklahoma, they recently celebrated their 48th anniversary. He owned and operated the Cs Corporation which included Mr., Mrs., Sr. and Jr. Convenience, Mud Busters and N M Amusements. Butch’s passion was giving back to the community. He and Sharon have been avid supporters of the Perry Public Schools academic and athletic teams, band, FFA and many other organizations. Graveside services will be 10:00 a.m. Thursday, June 17, 2010 at the Grace Hill Memorial Pavilion in Grace Hill Cemetery. Butch requested that everyone attend his service dressed casually. Services are under the direction of BrownDugger Funeral Home. The family will be receiving friends from 6:00 p.m. to 8:00 p.m. Wednesday, June 16, 2010 at BrownDugger Funeral Home. Memorials may be made to the Perry Memorial Hospital Foundation, the Perry Educational Foundation, the American Heart Association or the American Cancer Society in care of BrownDugger Funeral Home, 1010 N. 7th Street, Perry, Oklahoma 73077. Butch is survived by his wife, Sharon L. Heppler of the home two daughters, Nickie Smith and her husband, Jim, and Mellisa Parmley and her husband, Grady, all of Perry, Oklahoma three grandchildren, Jennifer Rodgers and her husband, Ryan, Nicholas Smith and Kyle Parmley, all of Perry, Oklahoma one greatgrandchild, Rylan Rodgers, of Perry, Oklahoma two sisters, Catherine McCollum of Cairo, West Virginia and LaVeda Bryce of Winfield, Kansas and two brothers, Bernard Heppler and Alphonse Heppler, both of Perry, Oklahoma. He was preceded in death by his parents and one sister, Susan Johndrow.